Today’s Jesus is the plasticine deity who can be whomever you want him to be. 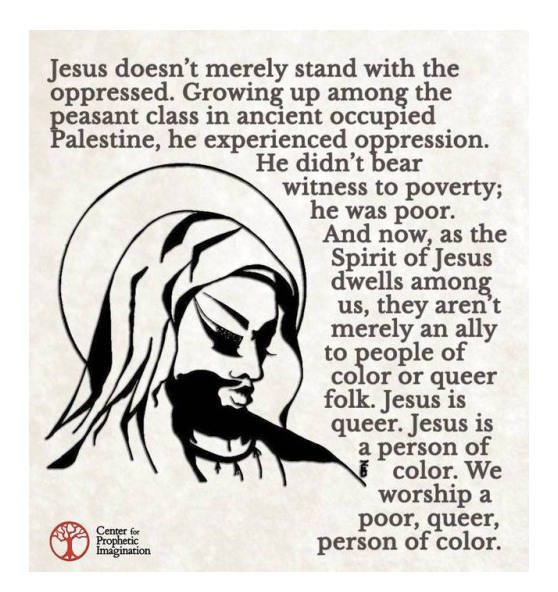 The fact that there is no major public objection to the “Queering of Jesus” further highlights how disconnected Christians really are from the moral roots of the Abrahamic faith, and how far they have strayed away from the true historical Jesus himself as well. So many Christians have morphed Jesus into a justification for their own preconceived notions and/or made him into an excuse to follow their own (often sinful) desires, that now the image of Jesus has become so weak and watered down that it no longer even represents any constant unchanging truth, that cannot be changed on a human whim in the near future. If there is nothing constant in the religion, then of what good is that religion? This is why Muslims are so careful to avoid going astray and making innovation (Bida’) in their religion. you lot are talking nonsense! Evolution of Jesus. Who is fittest?